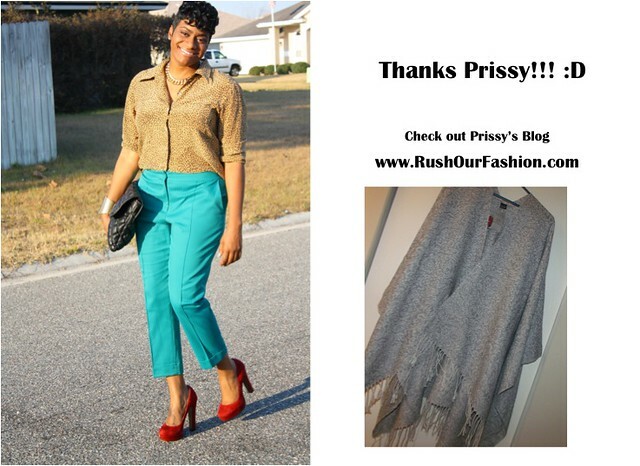 The fabulous Kourtney of Cheap Chic & Curvy had the awesome idea of us doing a blogger secret Santa. What a great idea! Kourtney took care of the name "pulling" and emailed us all the details. I also received a surprise gift from Kourtney in the mail a couple days ago! She gifted me with some amazing **brand new** fuchsia Ralph Lauren pants that she thrifted! They are amazing and fit great! 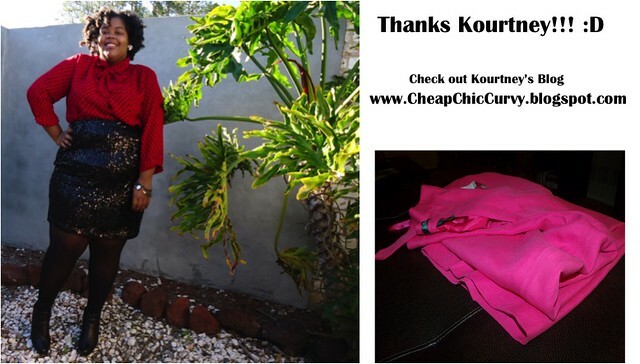 Thanks so much Kourtney!!! I love them and they're my favorite color! YESSS Please! I knew that whomever had received my name would have some fun choosing a gift for me! We were asked to give a list of items, however, I wanted my Secret Santa to gift me with something they thought would fit me so I didn't give a list. :) I hoped I didn't drive my Secret Santa crazy with that decision...hehe! I was the Secret Santa to Kelleashia of Kelly Monroe. You can find out what I purchased for Kelleashia as she fills us in here. Have you ever participated in a Secret Santa?